Karbonn Aura Power 4G Plus dual sim with 4G VoLTE support and running on Android 7.0 operating system Smartphone was launched in the Indian market. The Karbonn Aura Power 4G Plus Smartphone priced at Rs. 5,790 only. This Smartphone comes with 5.0 inch IPS HD display with 1280 × 720 pixels resolution. This smartphone comes with 1GB RAM and 16GB ROM. This Smartphone is powered by 1.25GHz quad-core processor. The Karbonn Aura Power 4G Plus Smartphone comes with 4000mAh battery with different features. The Karbonn Aura Power 4G Plus dual sim Smartphone is powered by 1.23GHz quad-core processor. This Smartphone is priced at Rs. 5,790. 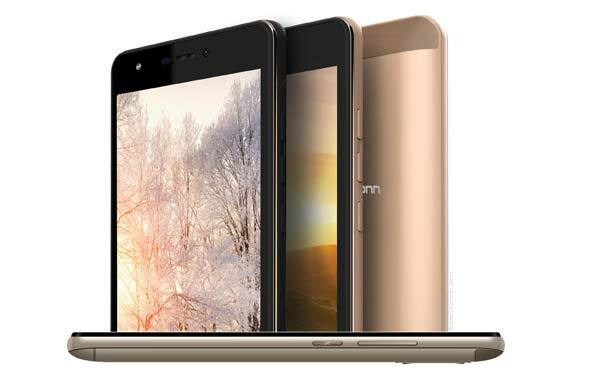 This Smartphone comes with 4G VoLTE, GPS, Wi-FI and Bluetooth support in the Indian market. Karbonn Aura Power 4G Plus 4G VoLTE support Smartphone comes with 4000mAh Battery Launched in India at Rs. 5,790. This dual SIM Smartphone comes with different connectivity feature 4G VoLTE, GPS, Wi-Fi 802.11 b/g/n, OTG and Bluetooth v 4.0. This Smartphone comes with 5.0 inch IPS HD display with 1280 × 720 pixels resolution. This Smartphone powered by 1.25GHz quad-core processor with 1GB RAM and 16GB internal storage. You can expendable storage capacity up to 32GB via microSD card. The Karbonn Aura Power 4G Plus Smartphone is running on Android 7.0 Nougat Operating System. This Smartphone comes with 1GB RAM with 16GB internal storage capacity which is expandable up to 32GB with the help of microSD card. This Smartphone comes with 4000mAh battery which provide 400 hours stand by time and 16 hours talk time. The Karbonn Aura Power 4G Plus Smartphone comes with 5MP rear and front facing camera with LED flash. It is a medium range, pretty good Smartphone which is comfortable to hold this phone in a single hand. All those users who want to buy 4G support Smartphone with good battery they have to invest his money on that phone.